At Damato Chiropractic Center of Glastonbury, we focus on providing our patients with personalized counseling for nutrition and diet. It’s important to have this kind of care provided to you in a specific manner, since everyone’s dietary needs and anatomy are different. The help we give you can help you to identify, modify, and improve your overall appetite and the kinds of foods that you eat. This will of course affect nearly every other aspect of your life, including your overall well being and physical condition. Nutritional counseling is intended to discover the best possible foods that you can be eating so as to improve your health in the most efficient way possible. If you’d like to feel that you’re at your best, our nutritional counseling services can help you achieve exactly that. Let us help you highlight your ideal way of eating so you can feel your absolute best. 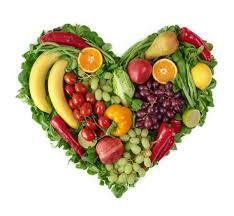 How can I benefit from Nutritional Counseling? Discovering the precise nutritional needs that your body requires can have a dramatically positive impact. You’ll likely find that pains and stiffness throughout your body will be reduced, and can enhance the results garnered from your chiropractic treatments—the benefits accrued from them will likely last much longer. We offer 10-day and 20-day cleanses to jump start your clean eating – for a healthier you! If you have conditions such as frequent gas or bloating, nutritional counseling can do away with them in relatively short order. This is also true for problems like acid reflux, constipation, IBS, or general fatigue or malaise. You’ll also likely notice a host of physical benefits such as less or no stiffness of the joints or aches of the muscles, headaches and anxiety reduction, and PMS symptoms will often be dramatically reduced as well. These are just a few examples—nutritional counseling is a highly effective means of taking control of your overall health and we would be more than happy to help you do so. Call Damato Chiropractic Center of Glastonbury today to schedule your appointment.